We have been a part of a co-op that meets every Wednesday, but we have not be regularly enrolled in the courses because of our other, every Friday, co-op. However, Wednesday’s group does occasional presentation luncheons, and this month’s presentation luncheon was on ancient or medieval Italy. Since Raisin recently had finished reading Magic Tree House #13: Vacation under the Volcano, we decided it was the perfect opportunity to join in! Raisin became pretty serious about this report. I’ve been talking it up for a few weeks, and he loves getting in front of people and talking, so that was not a challenge for him. For this report, he reread the Magic Tree House book at least three times. I had told him he should “take notes” as he read so he’d know what he wanted to talk about, so he could tell what he learned about ancient Rome and Pompeii, and so he could tell about the eruption of the volcano. We made it “erupt” with baking soda, and the boys were so disappointed that the “lava” didn’t destroy the house! After reading the novel and playing with pretend volcanoes, I also happened to place a few non-fiction books around the house. He ended up reading the entire Magic Tree House Research Guide, and he loved it! He again “took notes” as he read. He’d write down one word as he came to something interesting so he’d remember. Then he’d come tell me what he’d learned and I’d type it for him into a plain document. After he’d read the whole book, we organized the information. I pulled out my Historical Fiction organizer file and we put the answers into the box. (I helped him think about which facts were most relevant, and which three ideas we wanted to display on the three panels of the poster. And the image at the top of the post was his poster! You can see which panels he glued on and which he was too “tired” to glue so I did it for him. He really wanted it a little “exciting” he said. We added color to the templates before we printed them. For his presentation, I used an old sheet to make a tunic, and we tied it with a belt. I am not a seamstress, so this was interesting! He pretty much read his poster. Sometimes he faced the group and sometimes he forgot and faced his poster. I think he did a great job, since he’s only 5.5 years old!! Note: I did use copyrighted images on this poster under FAIR USE guidelines. And now, for you, my blog readers, I have a freebie! Eight pages of idea organizers for this book are currently for sale in my store, but I’ll give you a two-page sampler for free, as a thank you for following my blog. These pages include a “what were they thinking?” page and a Know/Want/Learn for as a student reads the Research Guide. The complete product also has a sequencing page, a volcano sequence page, a clothing page, and a page to note things that were different in ancient Roman times compared to today. If you do download these pages and find them helpful, please leave me a comment. 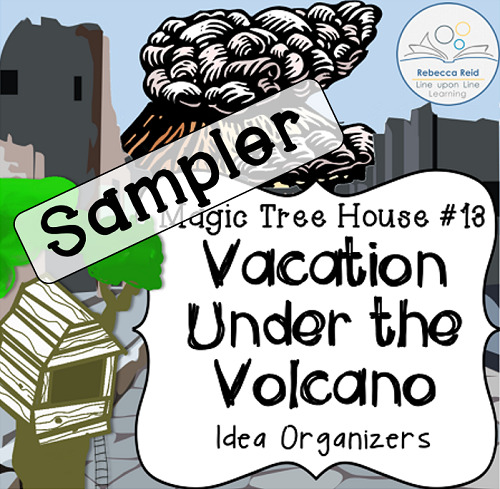 So far, I have made more idea organizers relating to six different Magic Tree House books and Research Guides. 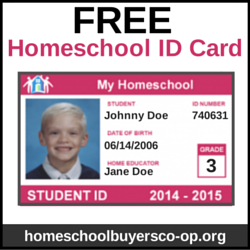 See the collections at my Shop, Teachers Pay Teachers, and Teacher’s Notebook.